All Shiloh homes currently listed for sale in Shiloh as of 04/22/2019 are shown below. You can change the search criteria at any time by pressing the 'Change Search' button below. "Currently operating equestrian boarding and training facility. 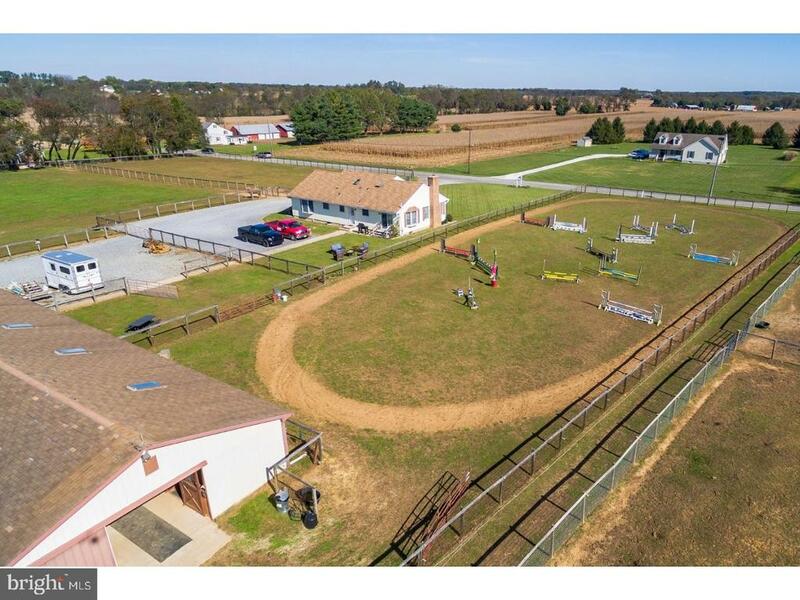 It is a premier Hunter/Jumper Training and Boarding Facility nestled in South Jersey. This exquisite horse farm was built with the horse and rider in mind.Private Turn Out. All paddocks feature Premier Diamond V-Mesh Fencing, Safest Horse Fencing available. Huge 350' x 250' Outdoor Hunt Ring #1 with full jump course on natural grass footing. Large 120' x 190' Outdoor Junior Ring #2 with full jump course on natural grass footing. 136' x 70' Indoor Arena with Jumps is attached to the barn. Stone Dust base Rubber Footing with ASTM grade sand. 10' x 11' Matted Stalls - EVERY stall has a window and a skylight. Hay Rack in EVERY stall. Indoor Wash Stall - hot & cold water. 2 Tack Rooms and bathroom. 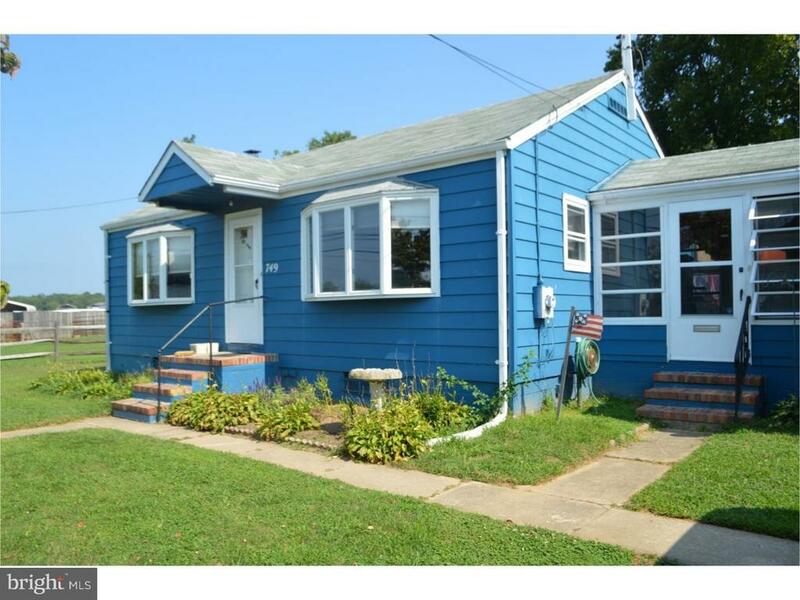 Close to major highways and bridges to Delaware/PA! There is a ranch style home on the property for the owner or care taker to use. The house consists of three bedrooms and 2 full baths. There is a large gathering room with a fireplace and eat in country kitchen that overlooks the barns and pastures. Full basement with custom built cabinets and finished bonus room. One bedroom is currently in use as the farm office and features an outside entrance." 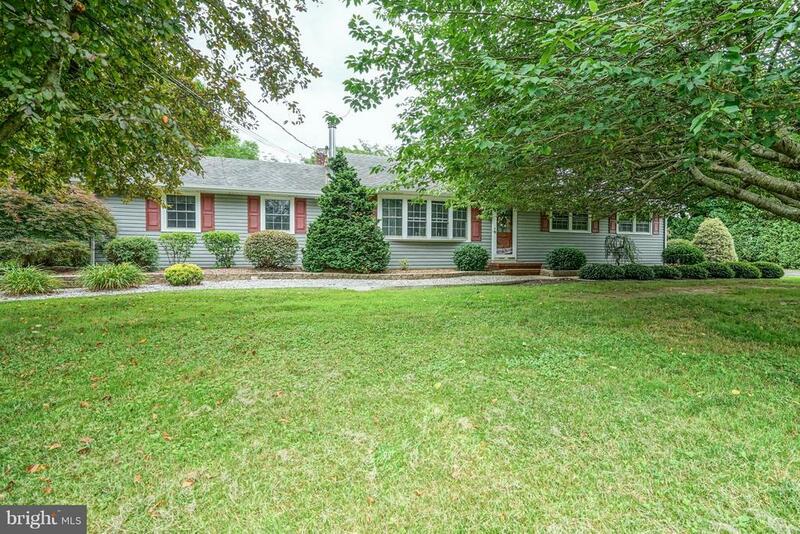 "This beautiful rancher sits on a large 2 acre lot with lots of privacy. This home features: 3 nice sized bedrooms, 1 full and 2 half baths, eat in kitchen with island seating, living room with a wood stove that can be used to heat the whole home, lots of custom woodwork throughout the home, finished basement with a spiral staircase, walk out bilco doors, and a 2-car attached garage. There is a second building that can be used as a Guest House, Pool Room, Work Shop, Business or an awesome Man Cave. The building is 36x48 and includes a bedroom, bathroom, mudroom/laundry room, kitchen, living room, attached garage and an additional large workshop area. The second building also has central air and heat in the floor! In the backyard you will find an above ground pool with an extra-large deck and a 24x12 shed. This property is priced to sell and won't last long! Don't delay!" 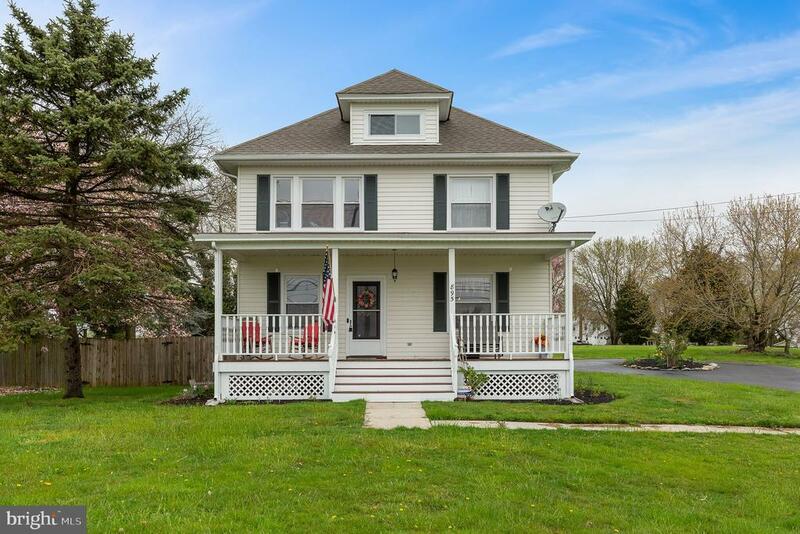 "Here in this quaint town within minutes of Bridgeton, Vineland, Salem, and the Del Mem Bridge sits a stately 2-story Foursquare built in 1929. A spacious first floor includes beautifully stained pocket doors, tiled floors, 9 ft ceilings, a full bath, chair railing on both floors, electric appliances that can easily convert to natural gas, and a bay window spanning both floors with a window seat on the first floor. Large windows here illuminate the dining area. A new high-efficient natural gas boiler heat and provide hot water to this 1874 sqft home. Ascend the walnut-stained bannister to the second floor where you~ll find a closet and radiator in each room. Look for the second newly renovated full bath, the bay window in the master bedroom, a small rear bedroom with original wood floors, and a similarly sized front ~sun room~ with access to a full cathedral ceiling attic. Here, a dormer overlooking the fields beyond completes this early 20th century marvel. Hurry and see for yourself today before it~s gone!" "Don't overlook this one! 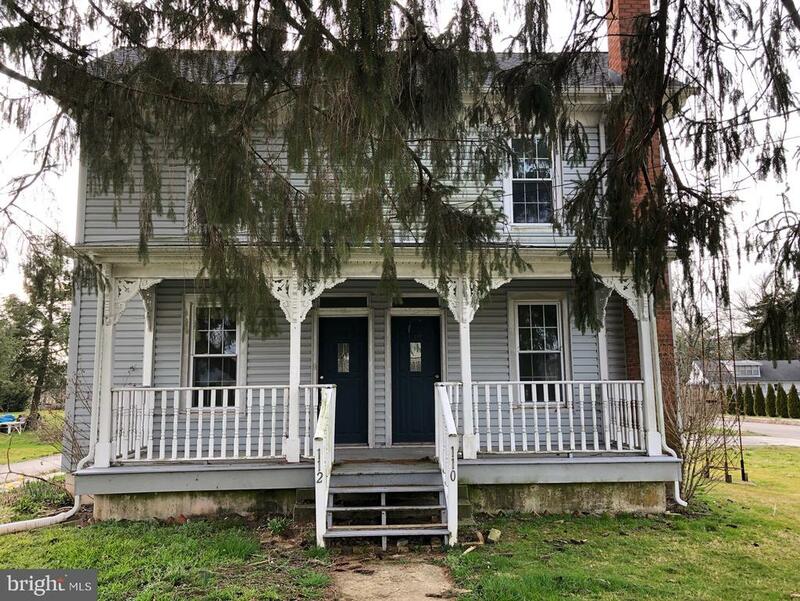 Adorable home in beautiful Hopewell Township with large kitchen, jack-and-jill bathroom, mud room, garage AND enclosed back yard. Kitchen features stainless steel appliances including microwave, fridge, and new oven. New hot water heater! Finished basement features flex space and room for an office. Enjoy entertaining? Property includes fenced in yard with an above ground pool, deck and sheds. Schedule to see this great home today before its SOLD!" "Opportunity awaits! Duplex with tons of investment potential. 2 Bedrooms, 1 bathroom per unit. One unit features a fireplace in the living room, dining rooms in both units, porches, detached shed, all located on a corner lot in desirable Shiloh!"